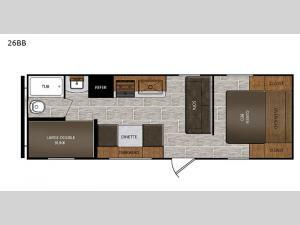 If you have been needing sleeping space for nine campers, then take a look inside this Avenger ATI travel trailer by Prime Time RV. 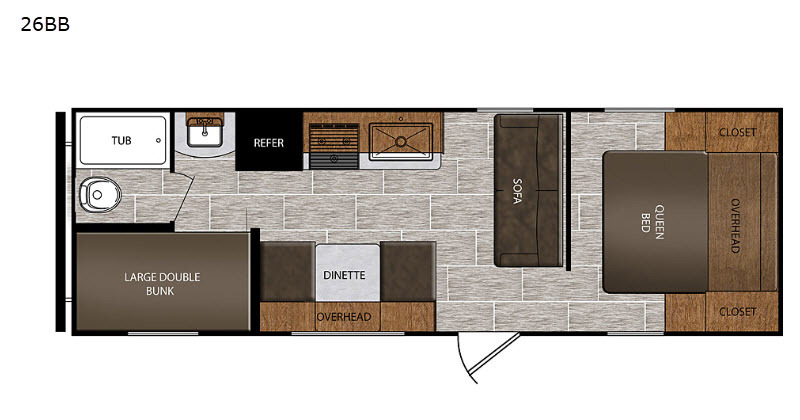 From the sofa and booth dinette to the queen-size bed and double-size bunks, your search for an accommodating trailer is over! You will also find full kitchen amenities to make snacks and meals for your whole gang, and the private tub/shower with a shower curtain on a curved track will deliver helpful amenities for cleaning up after a long day outdoors.